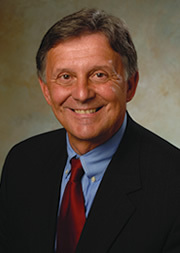 Professor Oliveiri has held several executive positions over a 30-year career in publishing and law. He most recently served as group vice president of legal education for West Group (an operating arm of Thomson-Reuters) and president of Foundation Press. He has held positions as senior vice president and publisher, vice president of business development, vice president of product systems, and general mana­ger/chief operating officer for various Thomson subsidiaries and operating groups. Oliveiri began his career at Lawyers Cooperative Publishing in Rochester, N.Y., where he was a managing editor, and later, an editorial director. He has also served as general counsel at Theatre Confections Inc. and was assistant counsel at Central Trust Bank. He is a member of the New York State and Monroe County Bar Associations, Beta Gamma Sigma, the Scribes Society of Legal Writers, and the Academy of Legal Studies in Business. He is licensed to practice law before the courts of New York State and the Federal Court of the Western District of New York. Oliveiri is the author of the revised edition of Nimmer’s Commercial Asset-Based Financing (Thomson/West), a leading legal treatise. His research interests are in the areas of law and economics as interrelated disciplines, and in particular how the legal environment affects comparative advantage.